Cooking with herbs is the difference between so-so and a culinary masterpiece. But dried herbs are sometimes bland, and those bunches of fresh herbs at the grocery store get pricey. Why not grow your own year-round? 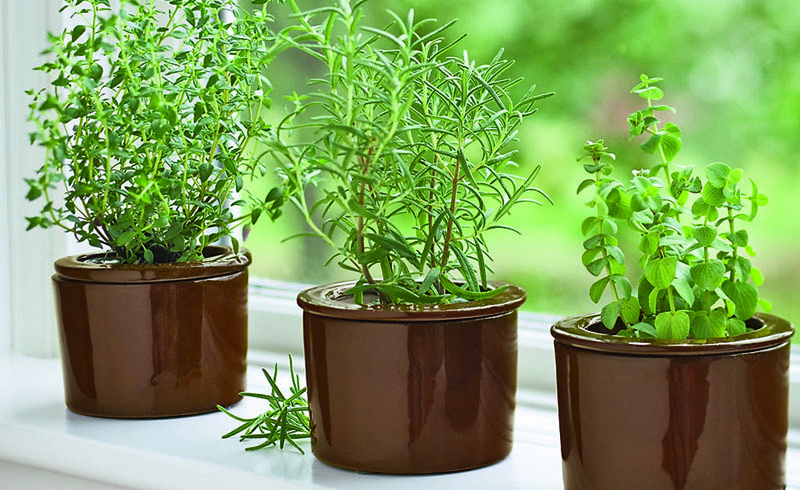 Here’s what you need to know to create an indoor herb garden that'll last through the winter. Choose herbs that work indoors. Not every herb likes it indoors. Some, such as dill and fennel, get humongous, so they’re not good options. Others like marjoram are more particular and don’t like a drafty windowsill. Basil can be tough, too, as it really needs temperatures in the 70s and gets droopy after a cool night or two. But sometimes the only way you’ll know what will work in your house is to give it a go! If you can beat the first frost in cold climates, dig up a little clump of thyme or chives to bring indoors. For other herbs such as mint, root a cutting in water, then plant. Many others, such as basil and parsley, can be started from seed. Herbs like light, and lots of it! 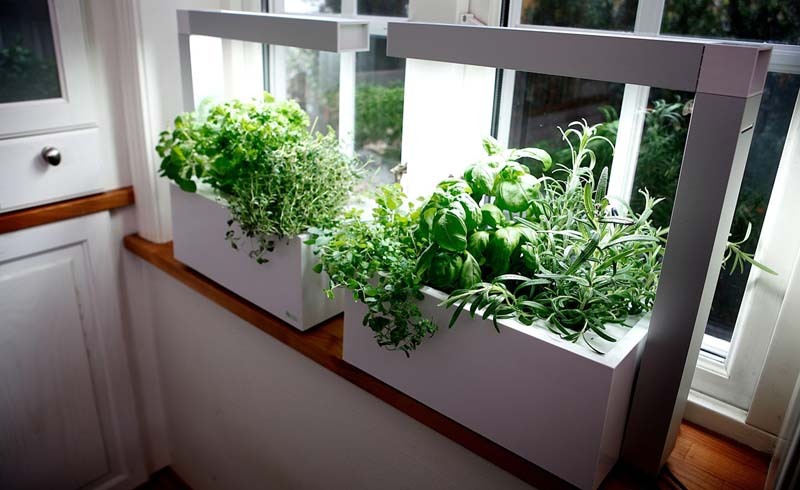 This is the biggest challenge for growing herbs indoors, as most require six hours of bright light. Choose a windowsill that faces south or southwest, which will get the brightest and most hours of sunlight per day. East- and west-facing windows often work okay. Keep all herbs from touching the windows so they don’t get burned by heat or cold. Invest in a grow light. If you only have a north-facing window, don’t waste your time. There’s just not enough light for herbs to thrive, especially in winter. Instead, get a full-spectrum grow light that can be placed anywhere in your house. It’s also a good choice if you start anything from seed. Use a reputable potting mix, or opt for a kit that includes planting medium, seeds, and pots. Make sure the pots have a hole in the bottom for drainage, and keep a saucer beneath every pot so you don’t ruin your windowsill or furniture. And don’t let the soil get soggy! Herbs don’t like wet feet. The exception is if you use a hydroponic kit, which grows the plants in water only in a special type of pot. Fertilize regularly with liquid houseplant fertilizer. Then snip and enjoy!